This giveaway has ended. 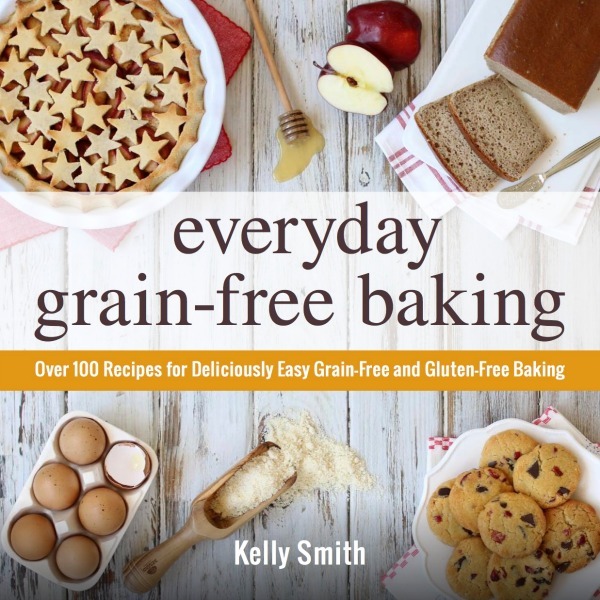 But you can still check out my top-rated cookbook, Everyday Grain-Free Baking, and try out several of the recipes listed in the “dessert” section of the blog. Merry Christmas! In celebration of the Christmas season, my friends Polly and Rachel at Thriving Home asked if I would continue the tradition of participating in their Annual Christmas Giveaway Blog Hop. My response … Yippee! Since y’all loved the past two Christmas giveaways, I immediately jumped (or should I say, hopped) at the opportunity to partner together on another terrific giveaway with some of my favorite bloggin’ friends. 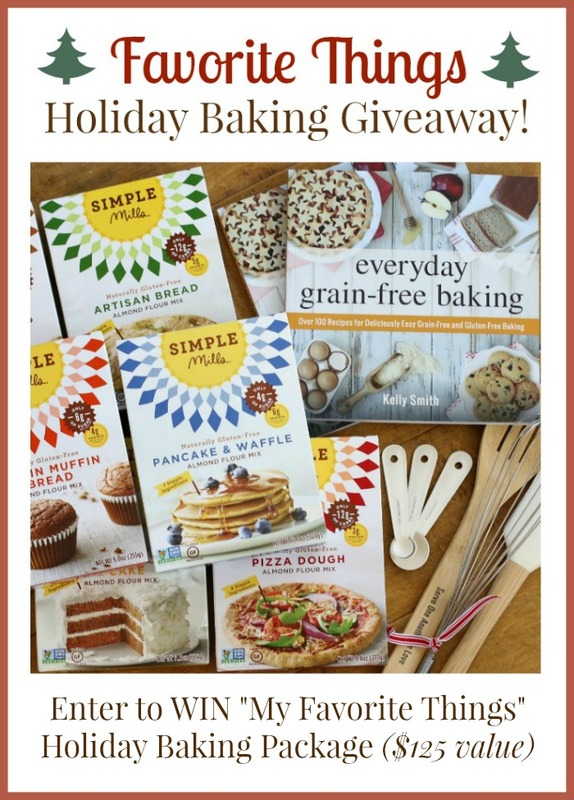 And because the holidays are the busiest ~ baking ~ season of the year, I thought it would be the perfect time to put together an awesome gluten-free, grain-free Holiday Baking Giveaway! So, I called my friends at Simple Mills and asked if they’d join me in putting together a delicious prize package to make one lucky winner’s holiday season even more merry and bright (not to mention tastier too!). Of course, it’s no secret that I’m super passionate about gluten-free, grain-free baking. 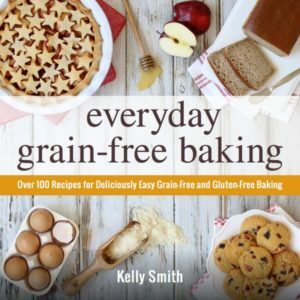 After all, I spent over a year developing, photographing and publishing Everyday Grain-Free Baking – named one of the “Top Must Have GF Baking Cookbooks” by Clean Eating Magazine and Simply Gluten-Free Magazine. But as much as I love to bake from scratch, there are times when I just want to whip-up something quickly! Thankfully, there is one company I trust who is committed to providing gluten-free, grain-free baking mixes made with pure, real food ingredients – Simple Mills! Founder Kaitlyn Smith, started Simple Mills because of her passion for simple, healthy and delicious grain-free baking. 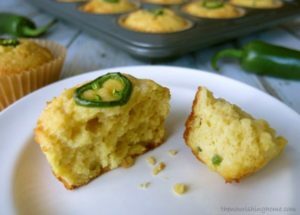 When Simple Mills first started out, I developed a few recipes using Kaitlyn’s muffin mixes. And as Simple Mills has continued to grow and add even more delicious baking mixes to their wholesome product line, I’ve become an even bigger fan and loyal customer! • Then, hop over to all of the other sites (see links below) and enter for a chance to win their awesome Christmas Giveaways too! fun Christmas Giveaways from some of my awesome bloggin’ friends. Remember, all of these giveaways end at 11:59pm PT on December 11, 2016. So hop on over to these wonderful blogs and enter today! Thriving Home – Polly and Rachel strive to encourage moms to thrive in every area of home life. They try to keep it real when it comes to sharing about healthy recipes, raising little people, growing in their faith, freezer cooking and various other topics that motherhood and life may bring their way. Chaos to Peace – Jennifer and her family live in the South. She and her husband, Fred, have three boys ages 13, 10, and 7, and one unruly dog named Dash. 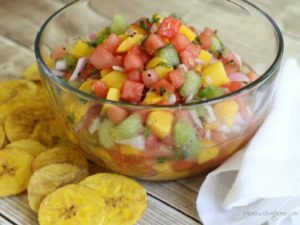 Chaos2Peace is a blog designed to bring peace in the midst chaos by providing organizational tips, menu planning, simple recipes, and a whole lot of laughter. Join us on the blog today as we do life together, one step at a time. Heavenly Homemakers – Laura Coppinger and her husband have four sons ages 11-19. Heavenly Homemakers is dedicated to inspiring women daily with healthy (and easy!) recipes, homemaking tips, spiritual encouragement, and good ol’ clean fun. Make Healthy Easy – Jenna Braddock is a registered dietitian nutritionist, football coach’s wife, mom of boys, and entrepreneur. 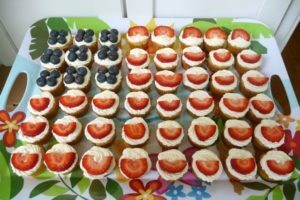 At Make Healthy Easy she shares real life strategies for better health and doable and delicious recipes. As a MHE reader you can breathe a sigh of relief knowing your daily health struggles are normal. You’ll also get a little dose of family and football through the eyes of our Friday Night Lights life. Happy Home Fairy is a resource of fun ideas, simple recipes, free printables, holiday traditions, and encouragement to help moms build happy homes. Kitchen Stewardship – Katie Kimball has shared her journey to real food and natural living for almost 8 years at Kitchen Stewardship, a blog that encourages moms to keep their families healthy without going crazy. Gwen’s Nest – discover simple home remedies, in depth holistic health articles, healthy recipes, & Gwen’s health & weight loss discoveries. Come meet Gwen, and enjoy the funny, holistic, and friendly-efficient way of life in her nest! Keeper of the Home is a resource and community for women and families in all seasons of life who are striving to be healthy – body, mind, and soul. It covers a wide range of topics from healthy recipes, cleaning practices and self-care. Our inspiration begins with our faith. Come share this journey with us! The Realistic Mama is all about family! You’ll find everything from saving money, parenting tips, kids activities, easy recipes, and DIY to online entrepreneur ideas, and more! Our tribe of moms and family-oriented entrepreneurs is one-of-a-kind. The connection, transparency, and trust are just a few of our favorite things about our community! What's it like to be a Food Blogger? 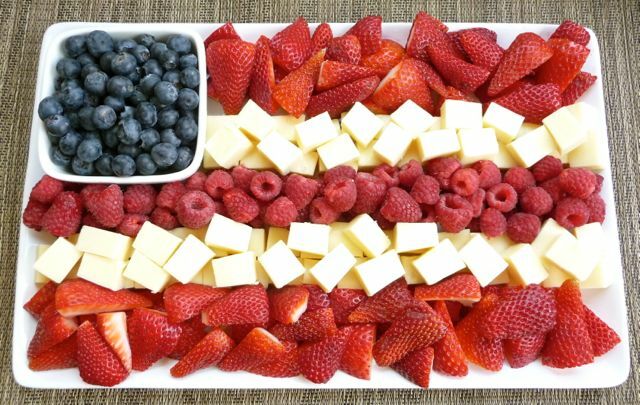 July 4th Weekend is the perfect time to fire-up the grill and enjoy some fun in the sun over a delicious, healthy meal with family and friends. 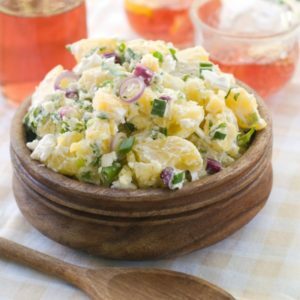 Whether you’ll be enjoying the holiday with a cookout at the beach, picnic in the park, or a simple gathering at home, this easy holiday menu will help you spend more time with your family and friends, and less time in the kitchen! That’s because you can make many of these recipes in advance. That way, you can quickly pull it all together for a stress-free, delicious holiday meal! And let’s not forget to take time to celebrate the real reason for this holiday – a time to be thankful for our country, pray for our soldiers, fly the flag, and remember those who’ve given their lives for the freedoms we enjoy! Happy July 4th! Living a healthier life doesn’t have to be as complicated as we often make it. If you’ve been wanting to get your family on the pathway to living a healthier, more nourished lifestyle, I’ve got an incredibly helpful resource just for you! Starting June 20th, I’ll be sharing a series called “One Simple Change.” As many of you know, I recently completed my training and certification through Dr. Josh Axe’s nutritional health coaching program. So I’m excited to share with you not only the key nutritional steps you can take to a healthier lifestyle for you and your family, but also some practical healthy living strategies that will really help you make progress in your healthy living journey. 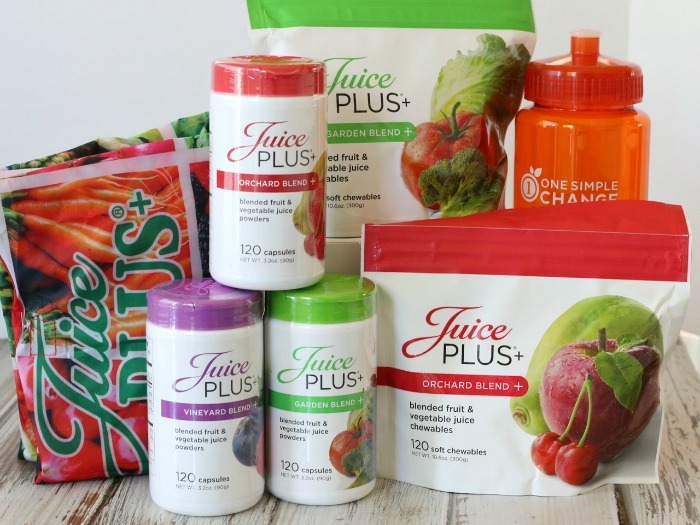 To celebrate us taking that first step together, I’m excited to share with you a special GIVEAWAY that includes one of my favorite ways to get even more whole food fruits and veggies into my family’s diet. Unlike vitamins or supplements, this provides your family with nothing but pure whole food nutrition. 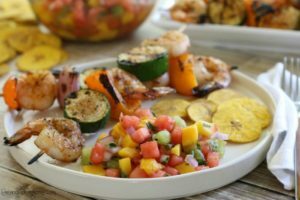 Of course, there is nothing like getting as many fresh fruits and veggies onto your family’s plate as possible, but with our fast-paced lifestyle, picky eaters, and our basic human nature of habitually eating just our favorites, it’s hard to get 9-14 servings of vegetables and fruits on our family’s plates daily, let alone to a get a wide variety of produce rather than just choosing our old familiar favorites. I like to think of this simple whole food product as an insurance policy – an added opportunity to safeguard our health to fill in the gaps and ensure we’re getting as many of the health benefits of fruits and vegetables into our bodies as possible. That’s why, I’m giving y’all the opportunity to WIN a two-month supply of these nutritional powerhouse products. Not just for you, but also for your kids! Simply complete the entry form below for a chance to win! All that’s required to enter is simply joining The Nourishing Home Community as a subscriber via the entry form above. Please know, I don’t spam my friends! I just send one email each week with my latest whole food recipes and meal plans. And of course, I’ll also be sharing One Simple Change that you can make each week to help you and your family live healthier, more nourishing lives! P.S. Some of my favorite blogging friends have also put together some of their summer favorites! 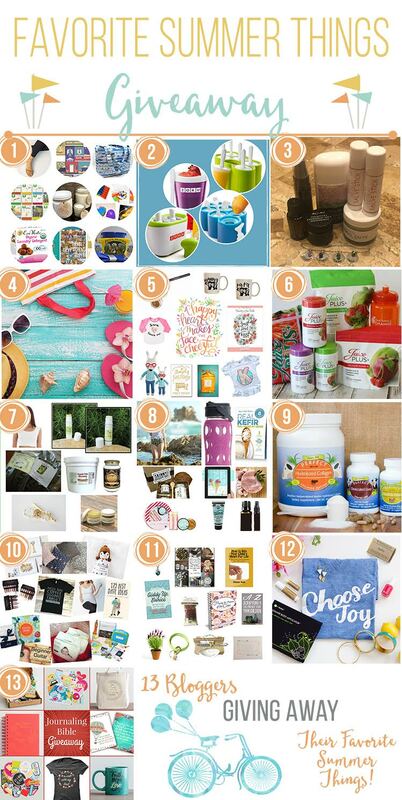 You can enter to win their awesome summer giveaways here! You're Cordially Invited to Attend! A Healthy New Year … Now!